Cool blue 12" x 17" flag lets everyone know where your favorite place is! 100% polyester; imported. Spot clean. Specify up to 18 characters. 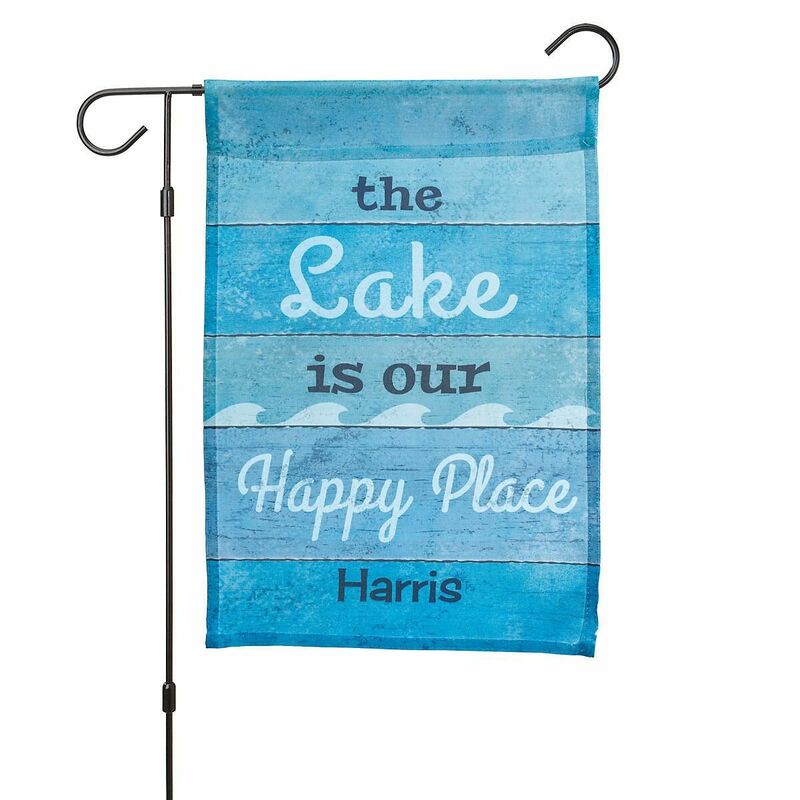 Easy-to-assemble metal flag stand is a perfect fit for displaying the flag; easily presses into ground. Each fabric flag slides smoothly onto stand arm.